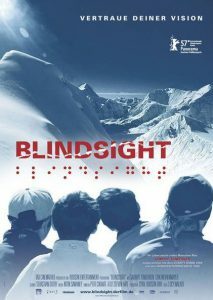 A beautiful and uplifting film, Blindsight is the story of six blind Tibetan teenagers’ brave attempt to climb the North Face of Mount Everest. The group are led by an American climber and the German teacher who founded their school in Lhasa, the only blind school in Tibet. As they ascend the breathtaking heights of the mountain, the team face many obstacles: nerves, exhaustion, and disagreement amongst the leaders (both also blind) as to how to achieve their goal – and even what their goal really is. But the kids discover they can do things they never thought possible, things the adults can learn from too.